Long-suffering commuters on Southern Rail found something to chuckle about this week thanks, in no small part, to a 15-year-old work experience boy. On a typical day, you would expect to see Southern's Twitter stream filled with complaints from frustrated commuters. But all that briefly changed as Andy Dickenson has been finding out. The rail union, the RMT, has confirmed that its driver members on Southern Rail will join the Aslef union in strike action in August in the ongoing dispute about driver-only trains. They say they're 'defending the role of the guard and the guarantee of a second safety-critical member of staff on Southern services'. Yet again today RMT is forced to send Southern Rail a clear message that we will not allow them to strip the railway of a safety critical second member of staff on these vital rail services." “We have seen again this week the Government propping up the failed Southern Rail operation as they collude with the company to undermine the fundamental principles of safety and access." Rail workers staged a protest outside Parliament today in their long-running dispute with the train operator Southern. Members of the RMT union are still fighting the introduction of driver-only operation. 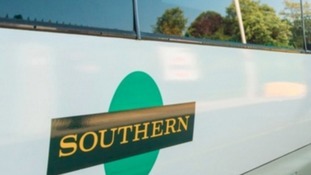 Southern says the changes it's brought in free up staff to help commuters. The year-long dispute has seen 31 strike days. 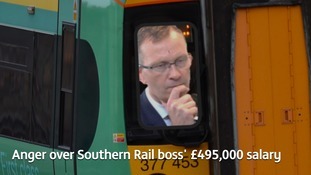 In 2016, almost sixty thousand Southern services were either fully or partly cancelled. It's the longest dispute on the railways since 1994. But disabled passengers in particular say the service has gone from bad to worse. Malcolm Shaw reports.